Only the foundations of the house were laid out upon the team's arrival to the building site. 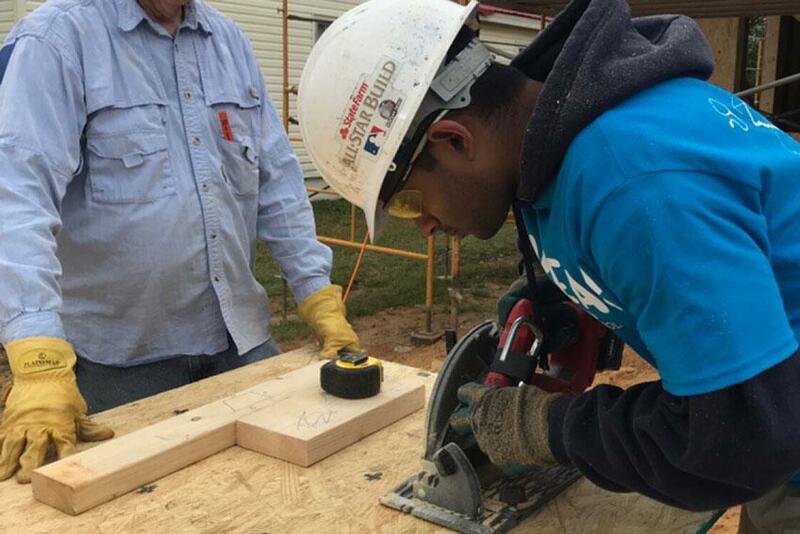 Aditya Vasa gets down to business using a power saw to cut some plywood for the housing project. The house was almost finished by the last day the alternative spring break team was there. Students were involved in some heavy lifting during construction. 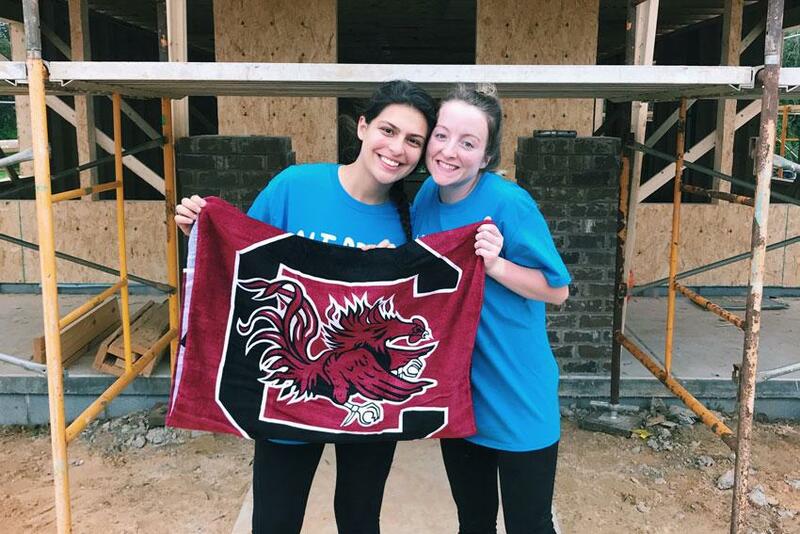 Jaclyn Altizio and Abbie Fahey show their Gamecock pride in front of the house. Editor's note: Jaclyn Altizio is a junior majoring in exercise science at the Arnold School of Public Health. This is her second year as a team leader for an Alternative Spring Break Trip to Tuscaloosa, Alabama. This year, her team served with Habitat for Humanity and The Salvation Army. This is her story from the week as told to student e-news editor Mia Grimm. Throughout high school, I was always involved in different service projects and I wanted to continue that involvement during college. But I didn’t quite know how to become involved or what service organization I wanted to be a part of until fate intervened. I’m from New Jersey and didn’t want to spend money to buy a plane ticket home for spring break. Instead, my best friend from freshman year and I decided to sign up for an alternative spring break trip to Florida. Rather than lying on the beach all day, we participated in an environmental service project by building a 300-foot boardwalk on Merritt Island to help preserve land. As soon as we got back to campus, I knew that I wanted to lead my own trip the following year. In particular, I was really interested in picking my own theme. 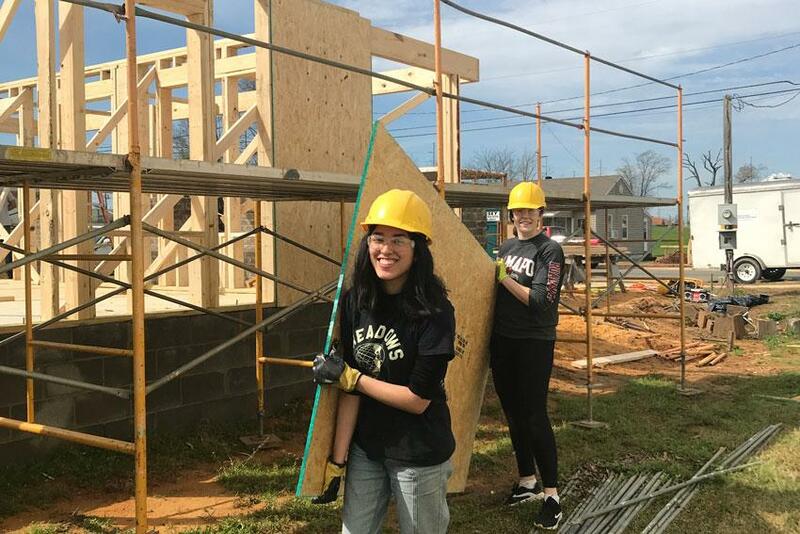 In high school, I had volunteered on a lot of construction mission trips, so that’s what I wanted to focus on as a trip leader — shelter access. As trip leader, I also had to select the location, create the trip’s schedule in coordination with the nonprofit, develop a budget, plan meals and submit it all before the end of the summer to the Leadership and Service Center. 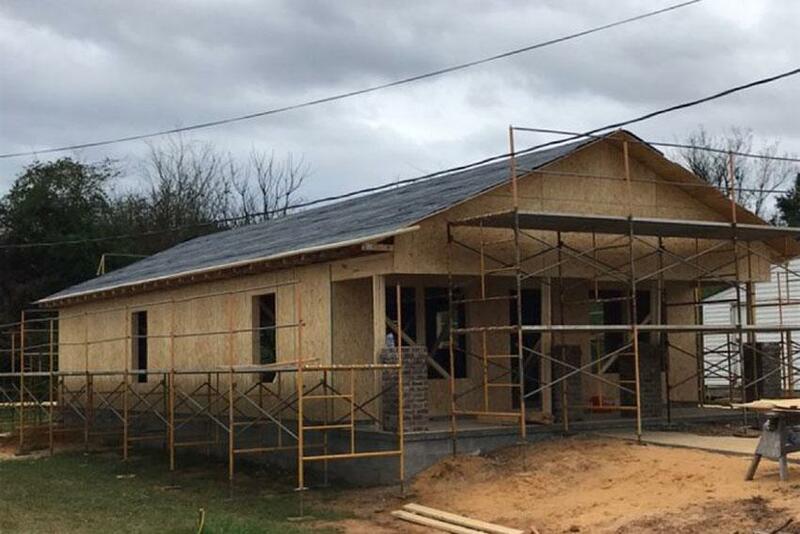 This year, like my sophomore year, my team and I went to Tuscaloosa, Alabama, to help build a house with Habitat for Humanity. In 2011, Tuscaloosa was hit by tornados and the community is still recovering. The woman’s family whose house we were working on had lost a lot in the storm, but it was an incredible feeling getting to work beside her for two out of the three days we were there. For me, the most awe-inspiring moment during the building process was pulling up the walls of the house because it showed such a physical transformation. 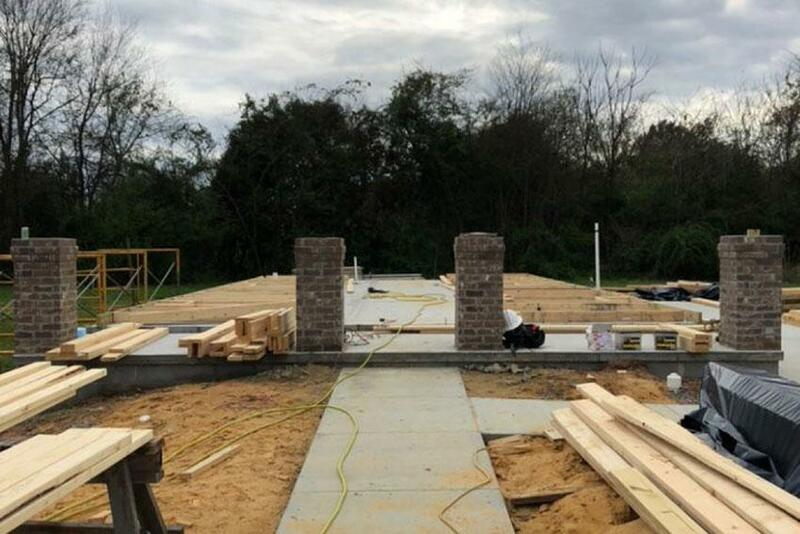 At first, all the beams are laid out on the ground and we nail them into place. Then, as a group, we each grabbed a rope and on the count of three we pulled the walls up. That’s when it really sunk in that we were making a difference and actually creating a structure that somebody was going to live in someday. On this year’s trip, I also added a visit to the local Salvation Army. While we were there, we helped clean the facility and learned about the different programs they offer to the homeless. They provide shelter, meals, GED classes, job hunting assistance and much more. This visit helped communicate to my fellow team members the difference between homelessness and shelter access, which most people think are the same issue. On the way back to campus, I was finally able to sit back and reflect on everything that happened during the trip. I loved getting to know my group better throughout the project. Each night, I would learn a little bit more about them and their opinions during the reflections I led or while cooking dinner and sleeping all together on cots in a church gym. I also thought about how my team leader experience has affected me overall. It’s made me more confident in my leadership abilities and organizational skills. My sophomore year was a big deal because I was really in charge for the first time. I was making the decisions for the group and planning things out all on my own. This year, I noticed it was more about me gaining the confidence to do those things more. Next year, I plan to be a team leader again, hopefully for an alternative winter break. I want my theme to match a little bit more with my major this time, so maybe something along the lines of obesity, but nothing is set in stone yet. Until then, I get to look forward to seeing my alternative spring break team again when we reunite for an upcoming Service Saturday. It’s only been a week, but I already miss them. Interested in leading your own Alternative Spring Break Trip? Visit the Leadership and Service Center's website.